With the holiday season just around the corner, you’re probably preparing to host your friends and family for parties, or leave for a fun holiday vacation. No matter where you go or how you spend the holidays, it’s important to ensure that your home’s plumbing is protected. In today’s post, we’ll provide you with a few tips that can help you keep your plumbing in optimal condition this holiday season. Get in touch with The Great Plumbing Co. today to schedule a residential plumbing appointment for your home! There’s no shortage of delicious food to be found during the holiday season. From oven-roasted turkeys to delicious cookies and other sugary confections, your home will smell nothing short of amazing as the holiday season kicks off. Be conscious of how you’re disposing of cooking byproducts like grease, as improper grease and oil disposal can quickly lead to serious plumbing problems. You’ve probably seen how grease solidifies after it’s been cooked, and this will happen inside your pipes if you simply rinse it down the drain when you’ve finished cooking. Set aside a jar or plastic container in which you can store leftover fat and cooking oil, and contact your local waste management center for further disposal instructions. Your garbage disposal is designed to handle small bits of leftover food from your plate, but many people use their disposals as a catch-all way to dispose of any leftover waste. 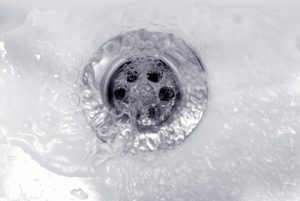 Garbage disposal clogs are one of the most common residential plumbing problems experienced during the holiday season, as homeowners and their guests often put hard-to-grind leftovers straight into the disposal when they’ve finished eating. You don’t want to have to call a plumber in the middle of your holiday celebrations, so remind your guests that large waste items need to be thrown away or composted. 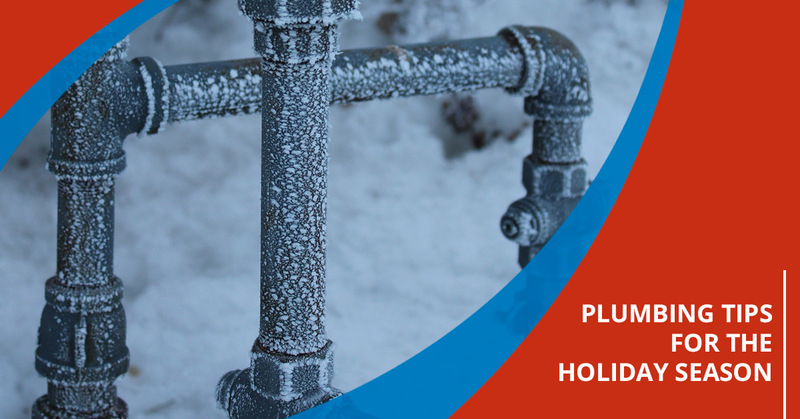 Cold weather and falling snow make for a magical holiday season, but below-freezing temperatures can also put your home’s plumbing at risk. Check under your kitchen cabinets, in your crawl space, and anywhere else that isn’t highly insulated to see if there are any signs that your pipes have begun to freeze or have already frozen. If certain areas feel colder than others, then try insulating them yourself or turning up your home’s thermostat while you wait for a plumber to perform an inspection. We noted some of the signs of a frozen pipe in a previous blog post, so be sure to catch up on that information. Make sure that your home’s temperature never dips below 12.7 degrees Celsius, and don’t be shy about asking a friend or neighbor to check on your home if you plan on leaving for a few days. The Great Plumbing Co. provides residential plumbing services in Toronto, Ajax, Etobicoke, and the surrounding areas. Whether you need a routine checkup or you need emergency plumbing, you can count on us to protect your home this holiday season. Schedule your plumbing appointment online today!